Washington Farm Animal Rescue View other Farm Animals for adoption. Courtesy posting. Rough Start Horse Rescue has some standard sized donkeys available for adoption. Some are pregnant and due to foal out this spring as well. They are not minis or mammoths, but the middle size around 10 to 11 hands from what I see at their farm. If you want to adopt any contact the horse rescue directly please. I am a volunteer for them and just shoot the photos so I can not answer any specifics. 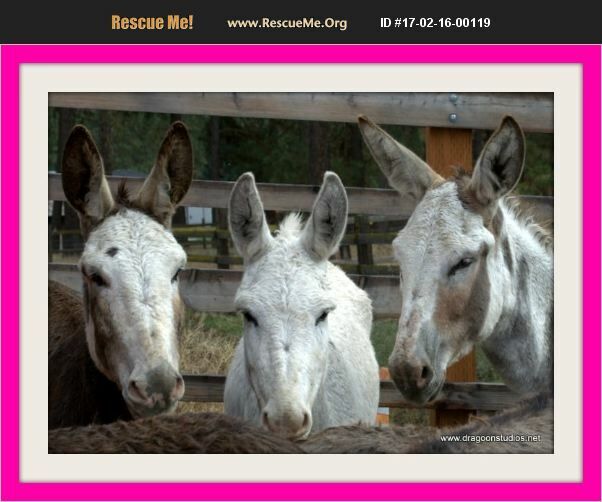 Their website is: www.roughstart.net which is not always up to date with adoptable horses or donkeys when they are busy working so call them or find them on Facebook. If folks email me I will just refer you back to these details above. Thanks.